Firstly I want to apologise for the radio silence recently. Over the last month, I have taken some time out from social media and my blog as I really felt like I really needed to focus on myself without any distractions whatsoever. It was like my gut was telling me that this is what I needed to do, so I listened, took some time out and my god I am so grateful I did. As I result I made some rather massive breakthroughs by daily journaling and truly honing in and listening to my body. Don’t get me wrong, this experience brought some painful days along with it, ok, some incredibly painful days, but what I have learnt coming through this is that pain really is your biggest teacher! 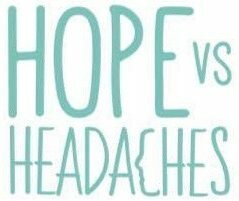 Pain is your friend in this process, in fact, it’s your best friend on your journey to becoming migraine and headache free! Now, I know you might find this hard to believe when you are so used to simply seeing pain as the enemy and root of all evil, however I truly now believe that pain is simply your body’s way of communicating with you that it’s not happy, and our job as experts of our own body is to sit back, listen and try to work out what it is we can do to change this discomfort. During my recovery, I have learnt so much. What my body likes, dislikes, needs more of and simply hates, and yoga I discovered is one of those things that my body seems to like. That being said, a couple of mornings in a row I could feel my neck and shoulders begin to tighten and as I had busy days planned ahead of me, with what obviously seemed like more important things to do at the time, I went about my day and told myself that I will make some time for some yoga tomorrow. By day four my god my muscles were tighter than ever, so to compensate for my lack of stretching I did an hour and fifteen-minute session because they were like absolute rock. At this stage, my only option to get me out of this sorry state was to do a lot of very deep, prolonged stretches which I don’t normally do. Initially, I felt better for this but a couple of hours later I was in agony, and I mean agony. No joke. As a previous migraine sufferer, I would class myself as a pain connoisseur but this was something else. My scalp, neck and eyes pulsated so hard I literally felt like my head was about to explode. I may have caught just thirty minutes sleep all night as I literally did my best to breathe through every painful second and try to get out the other side. Overall, this took me about six full days to recover from this episode, however, the point of this story was to explain that the pain was simply my body’s way of saying NEVER EVER DO THAT TO ME AGAIN! My body doesn’t take well to deep stretching, even if I am in pain gentle is the way to go. I need to make daily yoga a priority in my life to prevent neck and shoulder tension and ultimately headaches. Prevention is 100% better than cure. Since learning these lessons I have begun to apply these daily. I experimented with the duration of my morning session, poses and how deep I went with the stretches and I have to say since that day I have prevented the usual neck and shoulder headaches I so often get. Winner! And to be honest, I am even grateful that the whole experience was an 11/10 on the pain scale because without the experience being so unbearably painful it wouldn’t have stuck in my mind forever more like it is now. No way will I ever miss my morning yoga stretches from now on. Remember friends, life is 10% what happens to you and 90% how you react and learn from it. We are SO similar!! Same thing happens to me! I know the longer I go without yoga or exercise the worse things get, but then I stop and the fear of starting out again paralyzes me. Figuring out what type of exercise is really hard because certain things will trigger my upper neck and back and leave me with rock hard muscles and migraines. Daily is best, even if it’s just 15 min of stretching on busy days, I think fear of triggering the pain leaves the muscles unused and we are worse off. Hi Lesley, yes wow we are super alike and sounds like we have both come to the same realization, that prevention is better than cure. I agree, it is difficult to find something that works for you but I guess we just have to keep on trying new things, listening to our bodies and learning. It’s really nice to know that there is someone else that goes through the same thing. It’s very tricky but I agree those 15 minutes daily keeps me on track too. On that note I better go and do some stretching. All the best Kristie.